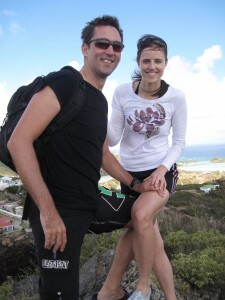 If Copper Mountain was Denise’s time for nostalgia on this trip, the French West Indies island of St Barth’s would be mine. 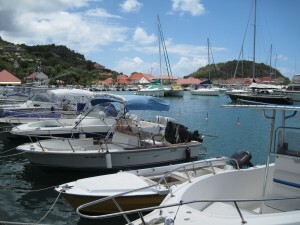 St Barth’s being the only destination on the cruise which I have visited, doing so at the impressionable age of 22 going back 13 years now. 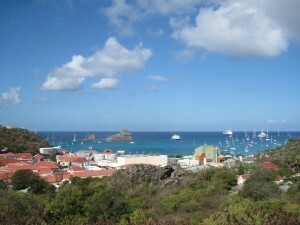 And it was not just any destination but one I visited on more than one occasion as second engineer on board the luxurious $40 million175ft super yacht, MV Little Sis.The owner’s wife, Mrs Parker, was particular fond of St Barth’s because of the great high end, exclusive shopping available. Precisely the reason it was not one of my favorites (not least because we had to follow behind her in a mini van to collect everything she had bought, often including highly fragile items, and then find place for them on board the yacht). We steamed in to Gustavia, St Barth’s and laid anchor nearby one of four mega yachts owned by Roman Abramovich (for the less informed, he is a Russian business mogul and owner of Chelsea football club). 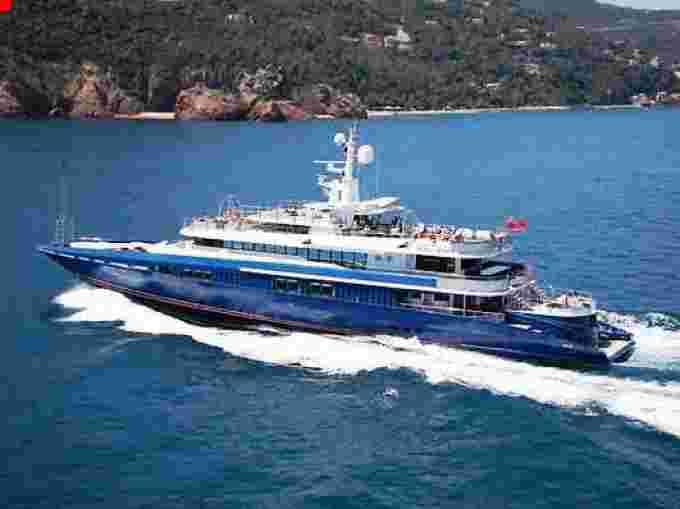 Eclipse is currently the largest private yacht of it’s kind measuring 500 feet and fully equipped with it’s own submarine and anti-missile defense system. I started to think back to my eventful days of living and working on super yachts in the Caribbean. It was the end of 1997 and within days of completing the final requirements of my degree I was on a plane leaving South Africa for the first time. I ended up staying at a crew youth hostel just off 17th Street in Fort Lauderdale walking the docks doing day work where ever I could find it. I got to know the people running the hostel, one of them a South African, so when a phone call came through one Saturday night from a captain desperately looking for an engineer, the phone got handed to me. “How are you with diesel engines”? “How are you with generators”? “Do you know much about desalinators”? “How is your plumbing ability”? “How is your carpentry”, the captain asked me over the poor quality satellite phone. Each time my answer being along the lines of “I don’t have much experience but I am very willing to learn”. “How is your electrical capability”? At last a question I was a more comfortable answering. “Well, I have a degree in Electronic Engineering”. Any one fresh out of university would be able to tell you that that hardly qualifies you for doing any real immediately useful kind of work. In any case, some how I had managed to convince the captain to hire me and the next day I found myself on a plane going to meet the yacht in St Vincent in the Grenadines. The captain met me at the airport and immediately took me to the yacht. “Welcome aboard Chief, the port generator is stuffed so best you get right on to it as we are leaving first thing in the morning.” What, did I hear him right? Chief! I thought I was going to be second engineer. I thought I had made that clear to the South African lady at the hostel. I was looking for a second engineer position, not chief engineer! The next few days, as we made our way up North, were challenging to say the least. I am sure I came close to electrocuting myself a few times as I found out from the other crew the reason I had been hired was because the boat had lots of electrical problems. We picked up some new three phase pumps in Martinique. I remember being so proud having installed one of these pumps but only to be woken up to the bilge alarms going off early the next morning. Evidentially I had wired the pump incorrectly resulting in water being pumped into the engine room instead of out. While we managed to prevent the yacht from sinking, we later found out that water had gotten into the gear box of the engines causing other major damage and more headaches for me. By the time we reached Guadeloupe and the captain offered me a ticket back to Fort Lauderdale, I took it. It was only a few weeks later after much perseverance that I managed to get a position as second engineer on Little Sis (incidentally a much bigger and more impressive yacht than the one I had almost sunk). 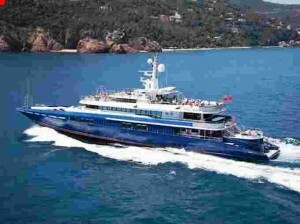 It was on this yacht that I spent most of my time during my short yachting career sailing the Caribbean. As Denise and I walked down the docks of St Barth’s, I remembered where I had made that phone call home to find out that I had indeed qualified, having missed my graduation. 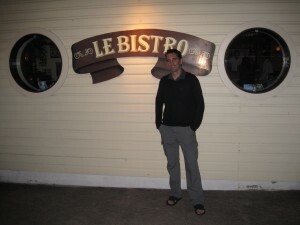 We walked past the restaurant I had had dinner with the owner’s son and two French girls he had met, who were no doubt aspiring for the highlife he could offer them. Denise and I also got to see the rest of the beautiful island on an ATV tour (their name for quad bikes), something I had not been able to see on my previous visits. 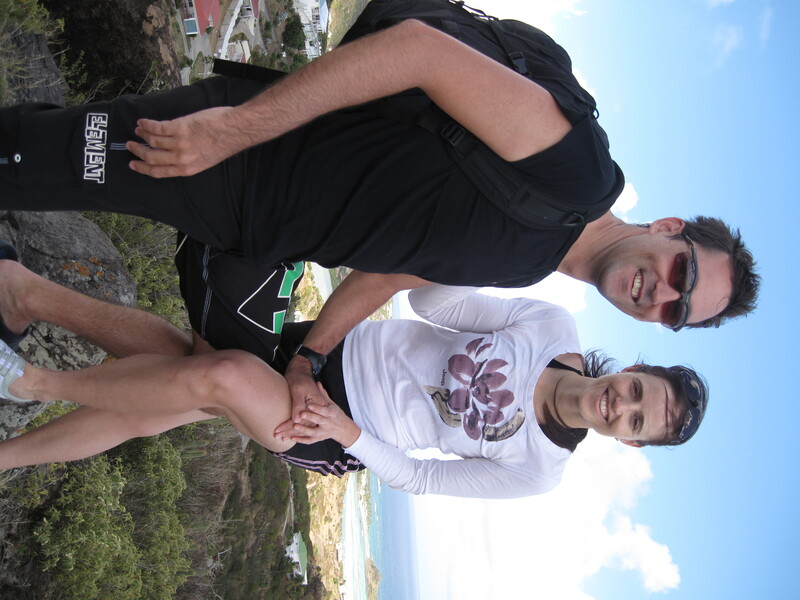 As we walked around the docks of St Barth’s, I thought back to the day I left Little Sis, having recently been promoted to chief engineer, and what a twist of fate it would be if I were to see her again. Alas, there was no Little Sis in sight, but I remember the day I had left Little Sis as if it were yesterday, walking down the dock in Fort Lauderdale and there, amongst the hundreds of other yachts, moored next to Little Sis was the yacht I had almost sunk. As I walked, unsuccessfully avoiding the captain’s eye, recognizing me he asked what I was up to. I sheepishly had to say “Chief Engineer on that yacht” pointing to the massive yacht that over shadowed his. “No way”, he said. Amazingly, it was true. Also brought back memories for us Andy – attending your graduation without you! Every phone call from you related another adventure. No blogs in those days – but we did get some emails. reading ѵery informative articles оr reviews аt tһis time.